At the ongoing IWWF Asian Waterski and Wakeboard Championships, Mark Leong of Singapore placed second in the Under-17 Slalom Waterski division with a new personal best of two buoys with a 14-meter line. 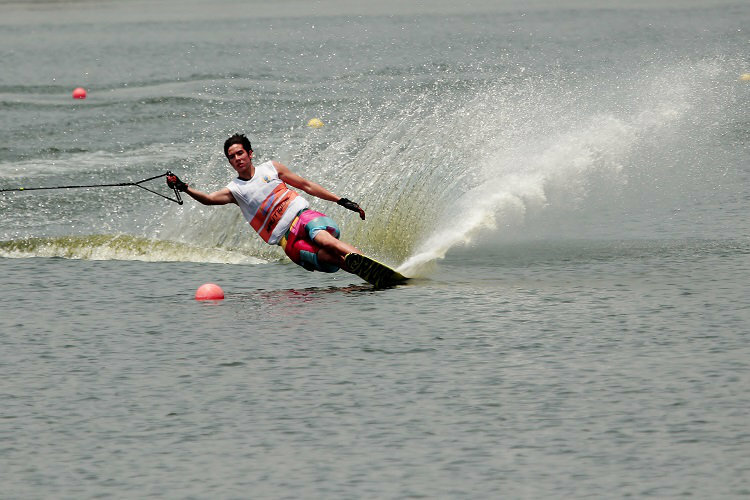 At the upcoming IWWF Asian Waterski and Wakeboard Championships, a team of five athletes will be flying the nation’s flag. Out of the five, one stands out from the rest, literally. Singapore's waterski and wakeboard contingent have won four medals so far at the South-East Asian (SEA) Games. Sasha Christian with one gold and one silver, Kalya Lee with one silver and Matthew Christian with a bronze, have helped to add to Singapore's overall medal tally. This is the first time that wakeboarding is featuring at the SEA Games.